Spring is here! This is according to the internet, which I use as a homebase for all knowledge. But actually jokes on you because I live in Guam and Spring doesn’t exist here! It is just rainy season and dry season and right now we are in the middle of dry season. But nonetheless I realize the vibe this time of year for all you folks who have spring is pastel goodness and light fabrics. 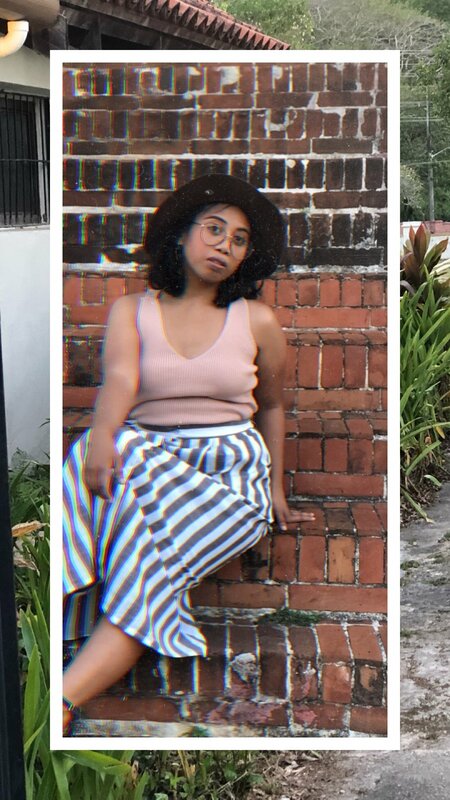 So I paired this ill-fitting knit pastel pink top from Forever 21 and this new skirt I got from Zaful. Lately, I have been loving the midi skirt vibe. But for a short bish who puts 4’11” on her government documents like me, and who is working with a lot of THIGH real estate, a large midi turns out to be a perfect maxi. So I present to you, a lewk. Featuring a Zaful maxi skirt for petites and a midi skirt for long-legged amazon goddesses. 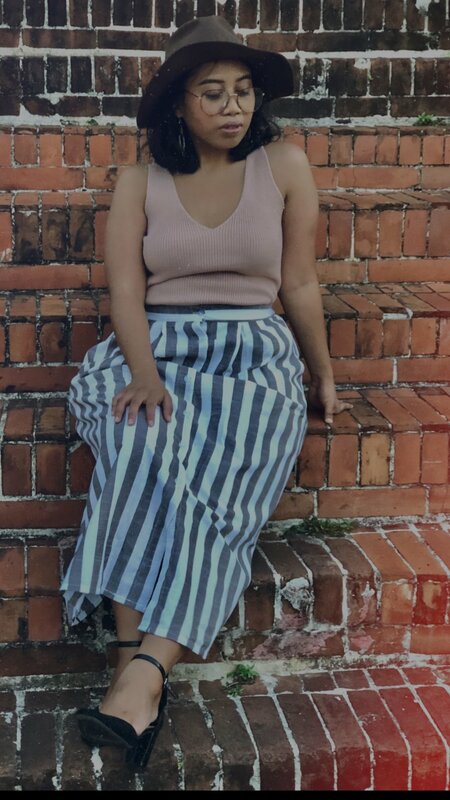 The skirt is a high waisted, button down striped “midi” skirt. It’s lightweight and very cute. One thing to note is that I did notice this stitching issue which is unfortunate because I paid $18 for this. I actually ordered another skirt from Zaful that was $12 and is a gorgeous jade color that fits really well on me. It doesn’t have any obvious stitching issues like this one. It cost less but looks more expensive compared to this striped number. Nonetheless, I think I’d get some use out of this piece. I normally don’t reach for skirts but because this is so roomy and comfortable I can see myself pairing it with a fitted T-shirt and a bold earring, some flats and running some errands in this. So if that is your vibe (like that is my vibe) then buy this skirt bb! This was my first order with Zaful. Unlike Tana Mongeau I am not sponsored and was not sent any items from the site. 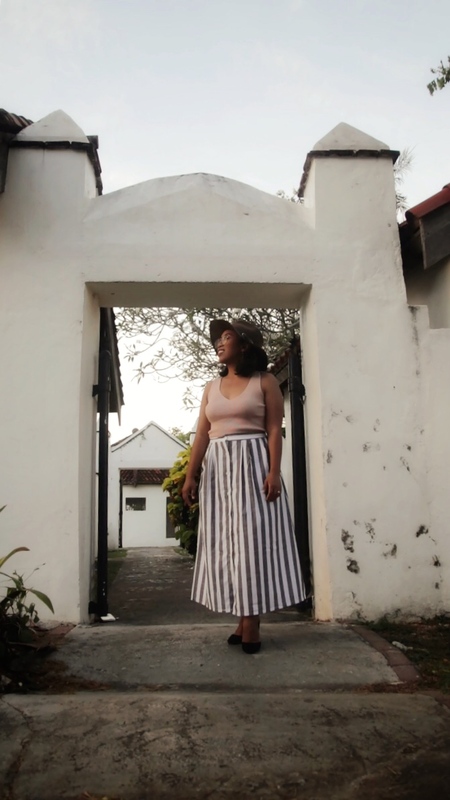 I was pleasantly surprised that they shipped to Guam rather quickly and the skirts were really cute and looked very much how they appeared on the website. Although, to be fair, Zaful isn’t marketing midi skirts like up front lol. They are trying to sell those two-piece outfits that I think are HOT and GOOD but not made for my Thigh Situation™️. lol but actually. How did you like your Zaful order? Or do you think you’ll ever order from the Zaf? The bottom line for me: I think I’d order from Zaful again. This initial order went pretty well from me as far as price, resemblance of items advertised vs the actual deal, and shipping. Ok friend. That’s it for me today. *Note: This post contains affiliate links which means I might earn a small commission if you click and buy a product at no extra cost to you. Also I bought all the things in this post with my own money bb.